Matt Darey – Exclusive mix for bejbi.se. The 34:th of our series of exclusive mixes..
Click ”see the rest of this entry” to read more about Matt Darey and to download the mix. Throughout his 18 year career Matt has worn the hats of DJ, producer, musician and program director. Since the start of his career in Electronic / Dance Music, Matt has sold over an astonishing two million albums and singles with numerous top 10 and top 20 chart hits. He is apart of a new kind of electronic artist that cross-pollinates the subgenres of dance much like Morgan Page, Armin van Buuren, Above & Beyond, Kaskade, Nervo, and Sharam to name a few. Matt has proven to be a chameleon of sound, producing a variety of releases from breaks to house to trance and progressive to experimental and rocktronica. 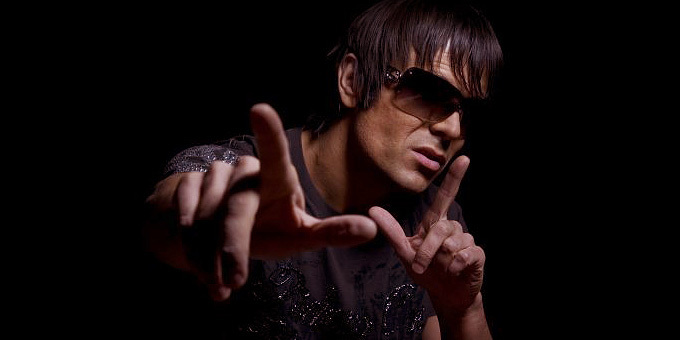 Often described as one of the original podcast pioneers of the global dance scene, Matt Darey is on the cusp of cult status. He has long been recognized as a world class DJ, tastemaker and radio personality while maintaining his personable attitude with fans and fellow global DJs alike. Now with over 500,000 subscribers to his weekly podcast and an estimated 50,000 listeners tuning into his syndicated radio show Matt Darey is a global brand. Matt’s weekly shows are now broadcast on 130 stations worldwide where he consistently showcases his unapologetic blend of electro, progressive house, breaks and trance. Renowned for bringing a truly international and multi genre flavor to his sets, Matt has become an influence on music and fans through his social media outlets, touring and radio program. He has been travelling more these past few years but Matt has prioritized when he returns home making his studio ground zero for all his production and programming. And though it may seem self-serving a weekly show branded Matt Darey’s Nocturnal, he has utilized the opportunities granted to him to shine a light onto new and emerging talent by constantly featuring guest sets from other electronic DJs and artists. His excellent and varied taste in music is what has made him so accessible to his fans and to all genres of music. Matt’s radio shows are a true eclectic journey which has been made tangible with his new Nocturnal 2010, double mixed CD, available now on Black Hole Recordings. His Nocturnal 2x CD compilation showcases Matt’s consistently exquisite choice of tracks as they might air on one of his Nocturnal program. During these 23 tracks, it’s unreservedly about the creation of a heavenly musical atmosphere joined with a tremendous dose of epic-ness in a sophisticated way. All tracks are flawlessly blended and presented in its entire glory without cutting corners or unnecessary editing. Now he is the 34:th out for a series of exclusive mixes recorded for bejbi.se by our favorite dj´s, both well known, and unknown, that we will publish once a week untill we run dry. Download Matt Darey´s Exclusive mix here (right click and save as) or listen to it live on Soundcloud or just press play below here. If you want more of Matt Darey, check out his homepage mattdarey.com and don’t miss his excellent podcasts.